There are quite a number of ways to get a skyline view of the city in NYC, however after reading numerous reviews, we decided against the Empire State Building and opted for the Top of the Rock, which was described to have an unobscured view of the city compared to the Empire State building. January was low season, so the process of getting in, passing through security, and taking the elevator up passed in only a few minutes. Other reviewers mentioned waiting an hour or more in the summer time, so do take that in consideration when you plan your trip. Needless to say, it was a gorgeous view. There are benches to sit along on the top, and you can get either the view of the scenic New York Core, or a view of Central Park, pictured below. 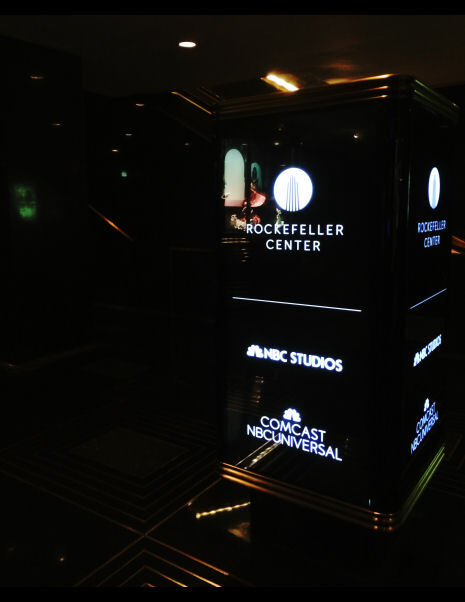 We purchased our tickets for Top of the Rock online at a site called Viator, which was more affordable than buying it on-site or on the main website. Click here to join Viator! They have lots of discounts for popular tourist attractions around the world. Afterwards, we picked up a couple plates of The Halal Guys to take home, which is located only a few steps away from the Rockefeller Center, check out the review and location here. 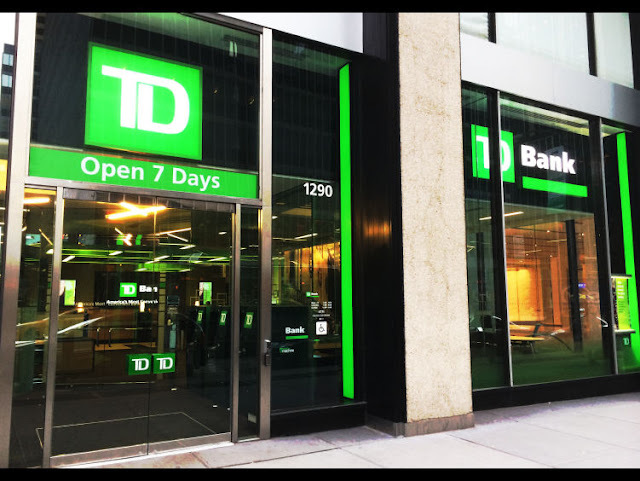 To our surprise we discovered an actual TD Bank in the streets of NYC! It works just fine with your Canadian bank cards, however converts your Canadian funds and dispenses it in US Dollars at the machines. If you don’t have a credit card and want to withdraw some cash without fees, having a TD Bank around is quite handy! This isn’t our first time seeing Tim Hortons in other countries, but likewise to the one we saw in Madinah in Saudi Arabia and Dubai in UAE, they just aren't the same as the ones back home. 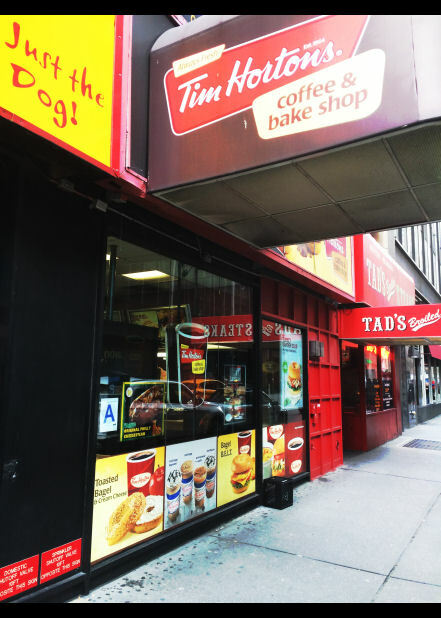 Instead they're under the brand of “Tim Hortons Coffee and Bake Shop” and of course the prices are sky high. But, hey if you’re reminiscing about the taste of a double-double and Dunkin’ Donuts just isn’t doing it for you, it’s there! On the way home we ended up having our flight at LaGuardia Airport rather than JFK, which is a little smaller and less impressive for sure. 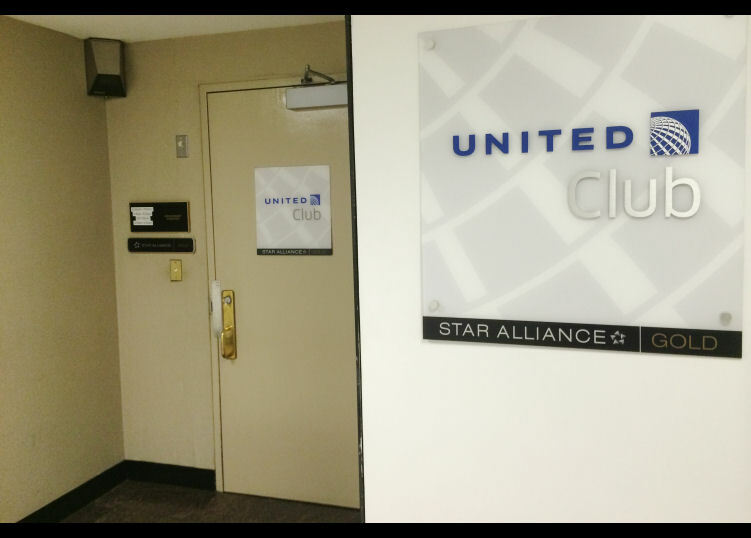 If you or your spouse has a Star Alliance Membership at any of the Star Alliance Frequent Flyer Programs, you may be able to get yourself and your spouse into a Star Alliance lounge for free! In LaGuardia, one of the aforementioned lounges was offered by United Club, and was located down a weird lonely white hallway which looked like we were walking in a hospital. 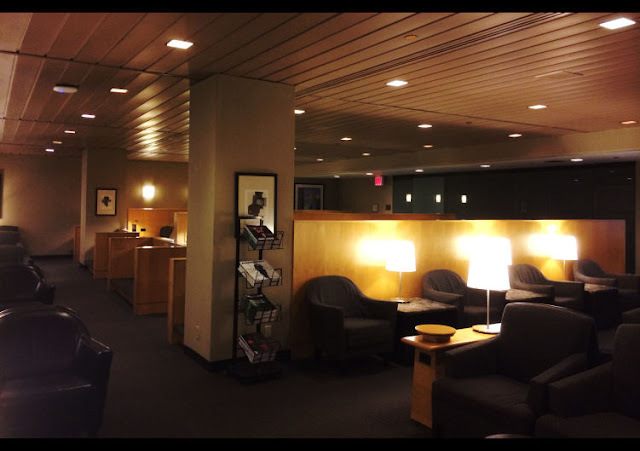 If you have some extra time to relax before your flight, these lounges are awesome for that. This one was plain but it was close to empty, so it was nice to unwind a bit there with some good wifi access and a comfy couch. There were some simple snacks like crackers, pretzels, cheese, and fruit and veggies, along with some beverages which you could take for free. 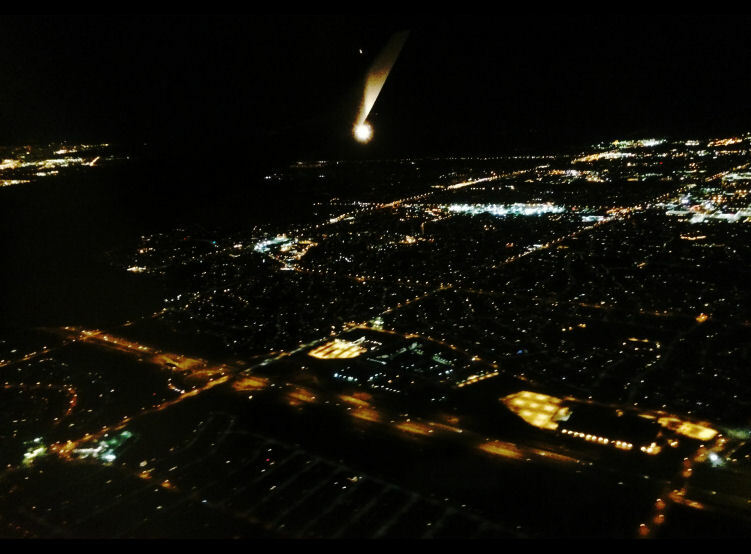 We had a relaxing 1 hour flight back home to Toronto and made it home safely alhamdulilah (all praises are due to God). 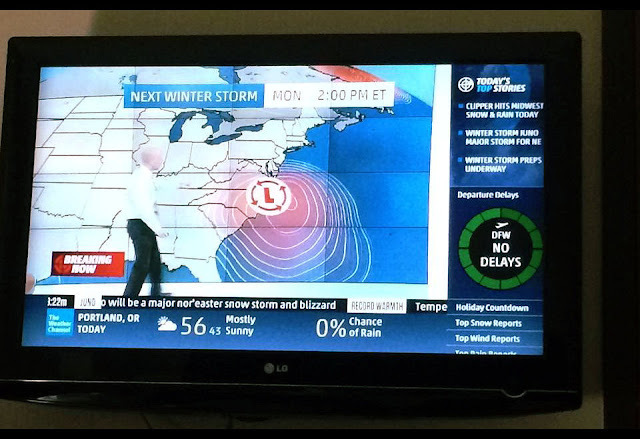 The storm turned out to be quite a big one! We were fortunate to have booked our flight to leave the day before. Stay tuned for our big Asia World Trip announcements, which starts in November 2015! 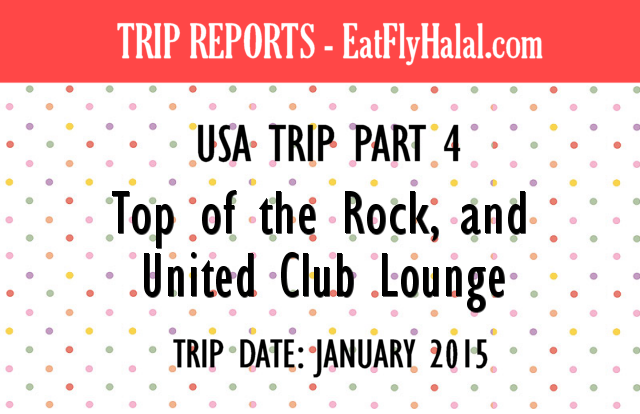 Click here to join our Facebook page to get exciting updates, photos, and videos from the trip!